Greek translators on Sydney Translations are experienced and professionals in all formats and selections of Greek translation services in their own fields of specialisation. Whether you need a Greek to English or English to Greek translation services, we’ve got you covered. 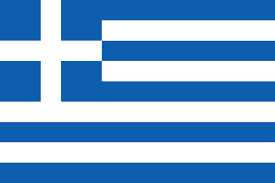 Our Greek translators are experts and have a deep understanding of both the Greek and English languages. If you need a NAATI accredited translator, you’re in the right place! 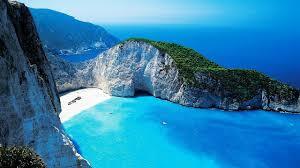 Sydney Translations have handpicked the most qualified Greek NAATI translator. You’ll be sure that your translation conforms to Australia’s national standards in the translation industry. Our translations can be used for submission to all government agencies and other authorities who require NAATI translations. We have a proven track record of producing documents that have a 100% acceptance ratio in various authorities. Every experienced and professional translator knows the importance of understanding the target and source language inside and out. Not only that, but they should also have a deep understanding of the different cultures. The English and Greek language are spoken in several countries as a native tongue. In each country, the dialects and culture are different so a translator must have an in-depth knowledge of this and adapt the text accordingly. As there are nuances in the Greek language that no machine can translate accurately, Sydney Translations use fully qualified, and NAATI certified translators who have years of translation experience. As security of information is one that our clients look for, we make sure that your data stays confidential and secure in our translation management system. We operate 24/7. You can chat with our customer representatives at any time of the day. You can send us your translation request via the translation quote form in your available time. Our Greek translation services support your translation requests any time whether it is daytime or night time. As we have over 7 years of experience in providing Greek translation services in Sydney, our Greek NAATI translators can work with different kinds of translations with a combination of the Greek and English language. We match the most qualified translator for your project. As we genuinely care about our clients and their priorities, we have made our prices more affordable. Starting at $69 per page, our rates differ depending on the complexity, length, subject matter and deadline of the document. Get to know how much your project costs by simply filling in the translation form located on this page. We work fast to deliver your projects on time. Our project managers choose the most qualified translator for your project and oversee the translation process to make sure the translation is finished on time. Greek was derived from Proto-Greek which is the first form of Greek used in the 3rd millennium BC. Greek is the oldest recorded living language in more than 34 countries that the written records span. Around the world, more than 13 million speak the Greek language. The longest Ancient Greek word is 182 letters long. It refers to a fictional dish created by Aristophanes. Our customers are our biggest assets, read what they say about us.